The Global President of Nintendo, Satoru Iwata, will soon take on the extra responsibility of CEO of Nintendo of America following a management shake-up expected to happen this summer. He will be overseeing Nintendo of America President and COO Reggie Fils-Aime, who will stay put. The current man holding the position, Tatsumi Kimishima, will be promoted to the Kyoto Headquarters as General Manager of Corporate Analysis and Administration, and he will be replacing two retirees who will be moving on from the company. Nintendo claims the moves fall in line with their "unified global strategy" and "allow streamlined decision making and enhance Nintendo's organizational agility in the current competitive environment." It's all coming, according to their release, because of several key executive retirements. Does this mean we'll see even more of Iwata here in the States? Maybe, but it's worth mentioning that we didn't see much of Tatsumi Kimishima. REDMOND, Wash., April 24, 2013 – Nintendo Co., Ltd. (NCL) today announced a planned promotion for Tatsumi Kimishima, current chairman and CEO of Nintendo of America (NOA) and a director of its parent Nintendo Co., Ltd. Subject to shareholder approval, he will become NCL managing director, and transfer from NOA in Redmond, Wash., to NCL headquarters in Kyoto, Japan. In his new position, he will assume the roles of general manager of Corporate Analysis and Administration, and general manager of the General Affairs Division. These titles are currently held by Yoshihiro Mori and Masaharu Matsumoto respectively, both of whom are retiring. Kimishima will assume his new duties in Kyoto later this summer. Kimishima was named to his current position at NOA in 2006. He first joined Nintendo in Japan in 2000, and was subsequently named president of Pokémon USA in 2001, before moving on to become president of the Nintendo of America subsidiary in 2002. Previously, he spent 27 years at Sanwa Bank of Japan, with multiple postings in North America and Central America. 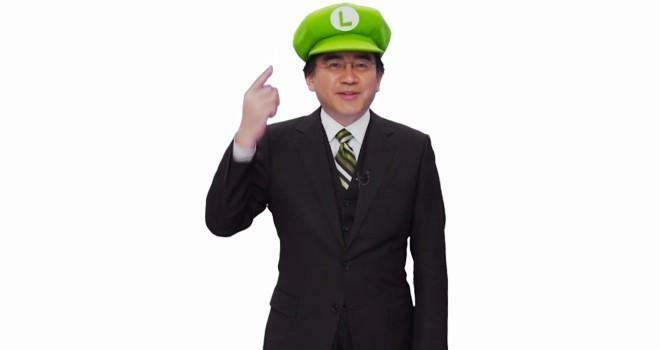 Many of his current responsibilities, including the CEO title, will be assumed by Global President Satoru Iwata. The move will support the company's unified global strategy, allow streamlined decision making and enhance Nintendo's organizational agility in the current competitive environment. Reggie Fils-Aime will continue in his role as president and COO of NOA, reporting to Iwata. Other changes announced to Nintendo's global board of directors can be found at http://www.nintendo.co.jp/ir/en/. About Nintendo: The worldwide pioneer in the creation of interactive entertainment, Nintendo Co., Ltd., of Kyoto, Japan, manufactures and markets hardware and software for its Wii U™ and Wii™ home consoles, and Nintendo 3DS™ and Nintendo DS™ families of portable systems. Since 1983, when it launched the Nintendo Entertainment System™, Nintendo has sold more than 4 billion video games and more than 651 million hardware units globally, including the current-generation Wii U, Nintendo 3DS and Nintendo 3DS XL, as well as the Game Boy™, Game Boy Advance, Nintendo DS, Nintendo DSi™ and Nintendo DSi XL™, Super NES™, Nintendo 64™, Nintendo GameCube™ and Wii systems. It has also created industry icons that have become well-known, household names such as Mario™, Donkey Kong™, Metroid™, Zelda™ and Pokémon™. A wholly owned subsidiary, Nintendo of America Inc., based in Redmond, Wash., serves as headquarters for Nintendo's operations in the Western Hemisphere. For more information about Nintendo, please visit the company's website at http://www.nintendo.com.